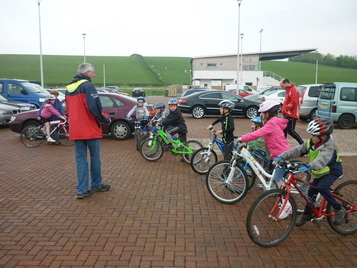 Our Grass track session takes place every Thursday at 6.30pm at Frenchfield sports centre, Penrith. 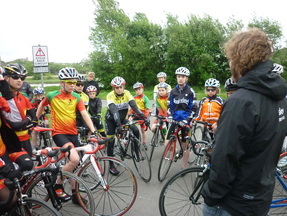 Bikes are available to borrow for the session & costs £2.50 per rider. What is grass track racing? Grass track is similar to the hard track racing in a velodrome that you've seen at the Olympics - but on grass! Events can be organised on any flat or reasonably flat field. The track itself is normally marked out over 400 meters enabling times to be compared over a series of events, or sometimes more simply by laying out a rough oval of markers with a start/finish line. 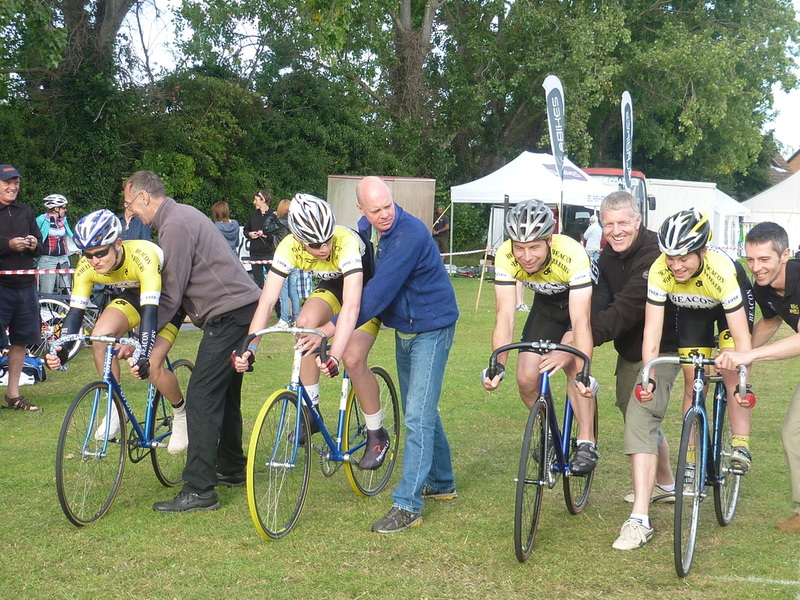 Races are short enabling riders to experience a number of different races at any single competition. There are a large number of event possibilities in Grass Track racing and typically several will be linked together to form an Omnium. Points are awarded to riders for each individual race and then added up to form the Omnium (overall) score. 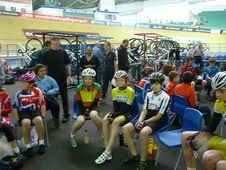 Scratch Race: All riders start together and race for a set distance (minimum 400m & max 8K). The first rider across the line is the winner. Individual One Lap Time Trial: Individual riders are timed to complete one lap of the track. ‘Devil' Takes the Hindmost: A bunch race in which the last rider to cross the finish line on each lap is eliminated from the race when there are only 3 riders remaining the race becomes a flat out sprint over the last lap to declare the winner. Handicap race: all riders start at different points of the track according to ability with the hope they all finish together.